Home made methods to get rid of pantry moles! 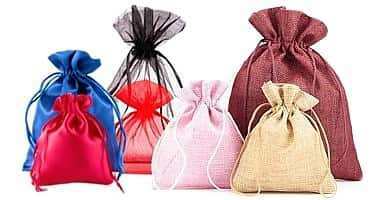 Organza bags! Moths are elongated, brown-grey insects which resemble butterflies somewhat. They prey in pantries and cupboards, usually preferring dry and powdery products such as flour, grains, rice, and the like. They can get into products and packaging, and the sign of their presence are small larvae and strings that remind a spider’s web in appearance. What is more, they can lay eggs in the smallest of cracks, and you can usually find them in corners of the cupboard, behind the backboard, on cans, as well as in paper and foil packaging of powdery products. How did the moths get inside my house? You can unwittingly bring them home from the shop, or they could have come over from the neighbours. The larvae can bite through foil and get inside packaging, which is why they can sometimes be found in a newly bought, wrapped product. Female moths lay around 200-400 eggs, from which larvae hatch. As they spread very fast, it is necessary to keep things clean and not give them conditions to spread. In stores, you will be able to find a lot of chemicals that will get rid of these insects. Often, they contain substances that are also harmful to us. We know home methods to get rid of pantry moths! In addition, they are fully natural and not harmful. To get rid of these insects, first of all get rid of all the products where we see the signs of presence of moths – the aforementioned small larvae and strings. Since the larvae can bite through packaging and get into products unnoticed, dry and powdery products should be kept in tightly sealed, preferably glass containers. The cupboards should be washed with vinegar or soapy water – lavender is best. 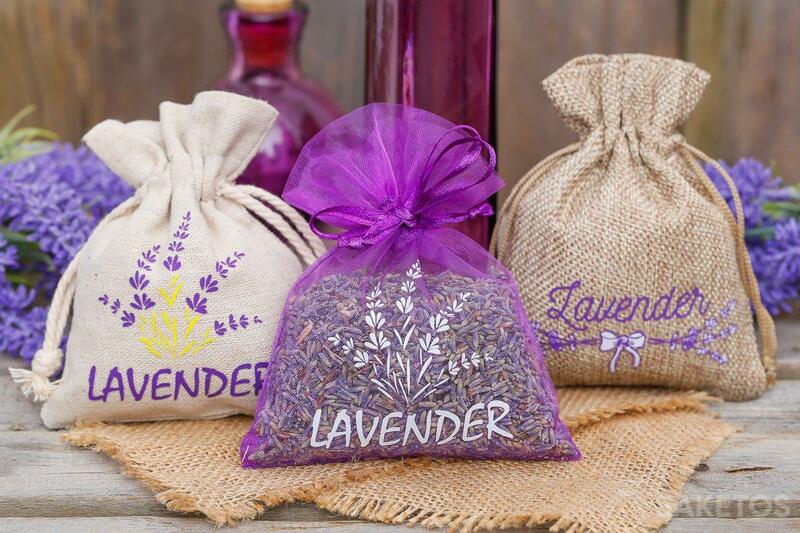 After cleaning the kitchen, put some pouches containing lavender into the cupboards and drawers. It is a natural ingredient which will effectively combat moths. 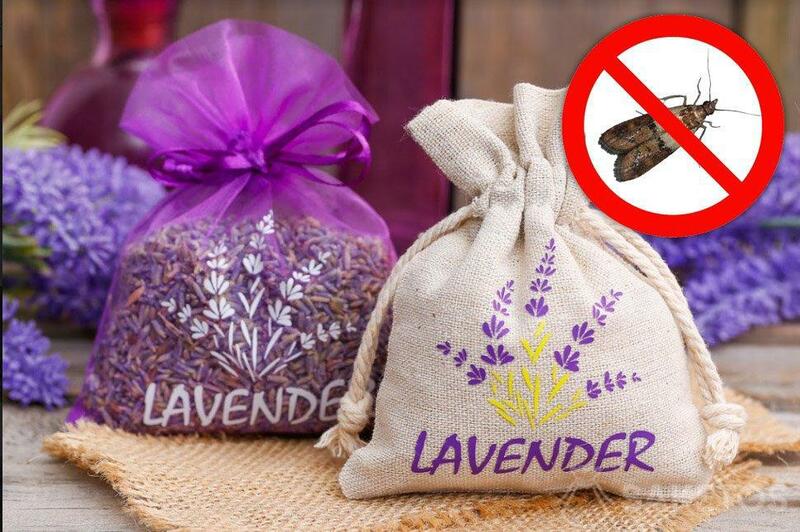 How to prepare lavender bags to get rid of moths? Simply buy some lavender, or get some from your garden. After that, you can easily buy dried lavender on the internet. You can get some fresh lavender on the market, or in the flower shop. Such flowers will dry out during use. 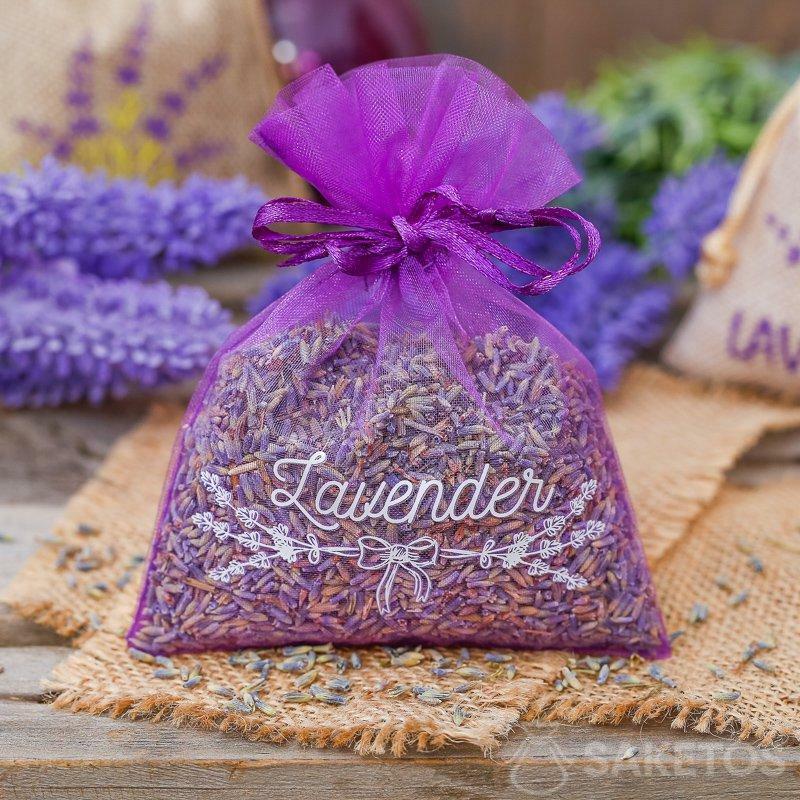 An ideal bag for lavender is made from linen or organza. The first has a natural appearance and fully covers the contents; the latter – organza – is translucent. Pouches are available in many sizes, designs, and colours. Additionally, you can also choose pouches with a lavender print, which apart from the practical functions, are also very attractive. 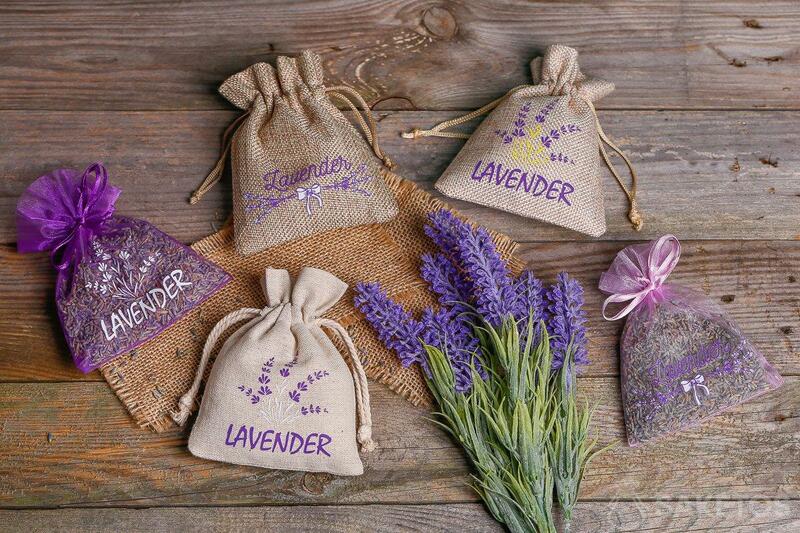 We propose the 8x10cm products as best for making lavender pouches. 7x9cm bags will fit a little less lavender, but in their case, there is a possibility of choosing whether the pouch should be closed with a drawstring on one side (SDB) or on two side (standard pouches). We recommend the lavender print pouches in a 10x13cm size.